It’s getting more and more difficult to keep respondents engaged with traditional, long surveys. To reach respondents and compete for their limited attention, we need to create research experiences that are engaging, immersive and allow them to participate on any device, whenever and wherever they are. To do this we recently added 2 new tools to our research toolkit: Ideastream and Recollective. Hypothesis Ideastream is designed to host communities and online focus groups and supports a range of inquiry and engagement techniques. We can use the platform to execute ethnographies, ideation, concept testing, diaries, creative development, co-creation and many other techniques. And because IdeaStream borrows from social networks like Facebook and Twitter to incorporate blogging, forums and tagging, the respondent experience is easy, fun and familiar. Hypothesis Recollective is another easy-to-use online tool that brings qualitative research online. 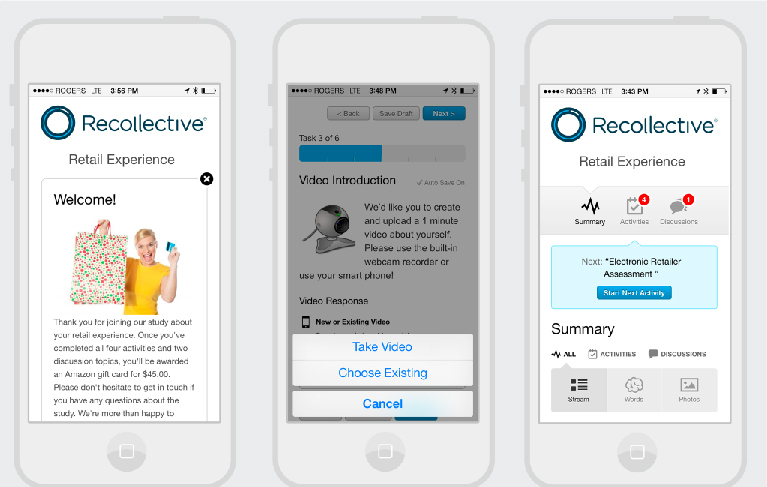 Recollective is especially suitable for getting feedback on new concepts and advertising. The platform, which is optimized for mobile, allows respondents to answer open-ended questions and respond with text, or by uploading images and videos. We can expose stimuli such as ad or product concepts and packaging designs and respondents can indicate exactly what they like and don’t like on the image. The results are delivered in the form a heat map to allow you to optimize your concepts. These tools are allowing us to get deeper insights from engaged respondents using a range of creative questioning and qualitative techniques. For more information on how we can apply these tools to your next project, contact your engagement manager or Maria Vallis at mvallis@hypothesisgroup.com.